Go to a Chick-fil-A and not only will you get a great chicken sandwich, you’re always opening up the possibility of seeing something unique and epic go down. 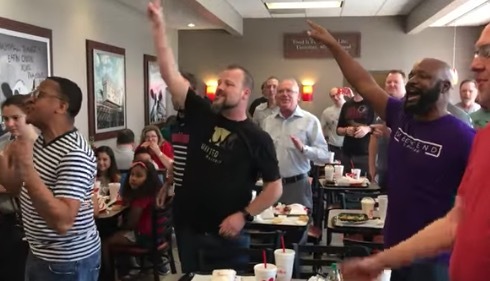 That’s what happened at a Chick-fil-A in Tennessee recently when a flash mob of worship leaders decided to sing “Every Praise” Acappella to those in attendance. Sit back and enjoy the harmonizing! And sorry in advance for the sudden urge you likely now have for a delicious, mouth-watering, sizzling sandwich from Chick-fil-A.